Fond memories of carpentry, would I go back? When we reflect back on our careers, there are a scattering of times that we all remember for the right reasons. 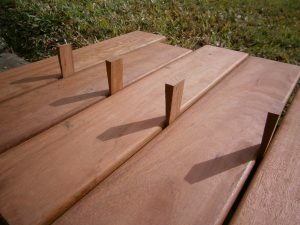 I look back over the last 15 or so years, and some of my fondest memories came from when I was working as a carpenter building decks. That pocket of time started not too long after finishing my apprenticeship. I had been working for a small builder on government-owned housing upgrades. Soon enough I got sick of government work and looked for a new job. That was when I met Mike Glab, who has become a close friend and later in life a mentor. That, however, is another story for another day. 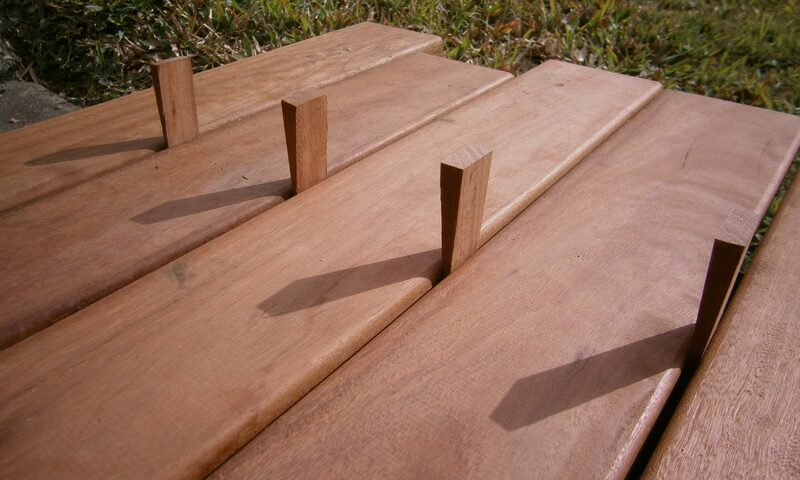 Building decks were the highlight of my time as a carpenter. It was hard, heavy work, we only ever built hardwood decks if I remember correctly. The hard work wasn’t such an attraction; it was the challenge of doing high-quality work that had my attention. We were in the top end of the market, so the standard of work that we had to delivery had to match. It was in this environment I went from being a carpenter to a tradesman. 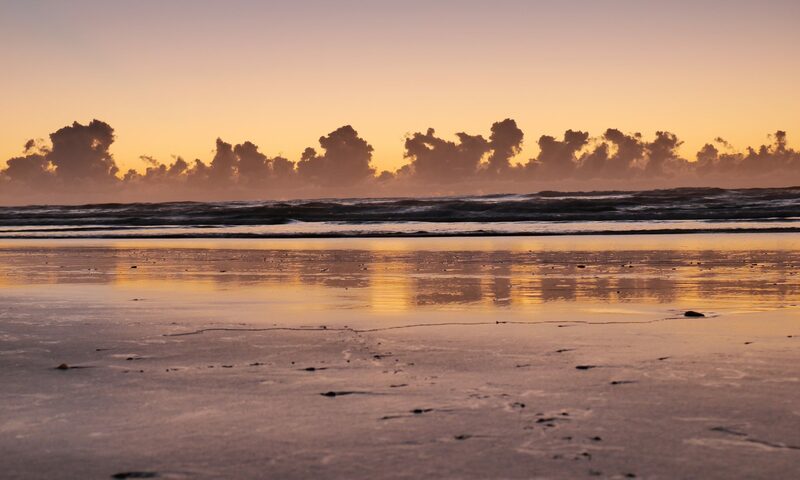 The constant challenge to better my skills was what I looked forward to most mornings. I learnt so much, developed a lot of my style and techniques that still hold true today. I would refer to guys I once worked with, as artists with a power saw. 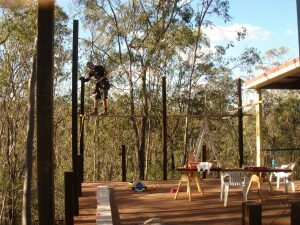 We would be hanging on the side of posts, cutting the verandah beam checkouts (housings). Cutting rafters for hand pitched roofs and watching the roofs come together, especially after screwing up the set out more than once. I used to love the challenge of setting out decking boards and scribing them around whatever obstacle each deck through our way. And the never-ending race to see who could nail the most decking boards down in a day. They were good times. Would I go back to carpentry? 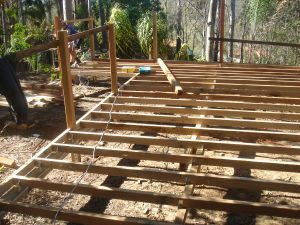 I guess the question would be, would I go back to building decks or carpentry in general? And right now, I would have to say no. The thought of building again for a living doesn’t excite me. As I have been working on growing The Travelling Builder, I have been doing casual carpentry work on the side. After a few weeks of the casual work, I am done, I just don’t have the passion I once had. I enjoy doing a little bit of carpentry work here and there as a hobby, and for now, that is where it ends. With that, some of my best memories will always be of those days building decks. Not sure if you guys from those days gone by will ever read this. However, Chaps (Ross or Jamie depending on the day), thanks for putting up with all my BS. Woolly (Steve), I hope you have stopped cutting with the wrong side of the saw. Scott, thanks heaps for the lift home to take the bin out that morning, saved my arse entirely. Toddy, I hope all is well out west these days. Cookie, we have to catch up again soon and all the guys that I have forgotten that made those years great. Thank you for the fond memories and hope all is turning out well for each of you.